Yep, you read that right. 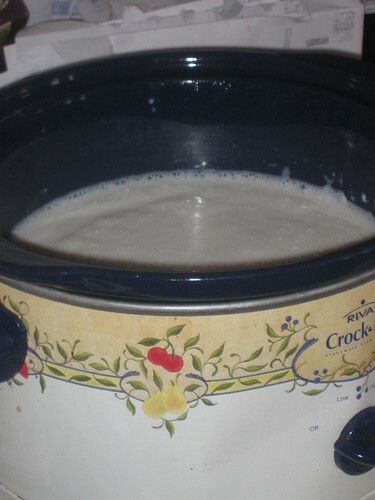 Homemade yogurt, in our crock pot. Of course, before we get started, it’s worth noting that I’m sharing something we do routinely in our own home, and if you choose to do this in your own home, I assume no liability over the results. We’ve done this many times and have never had a problem, but if you were to use unclean equipment or use old milk or something, you could create something inedible in this process. Clean your stuff thoroughly before making anything like this – or cooking anything in your kitchen, for that matter. The reward? 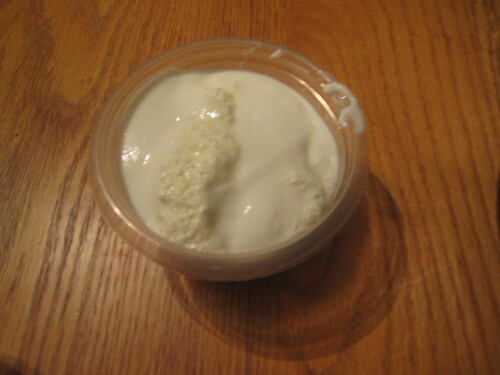 We made this much yogurt using just $2 worth of material. We actually made ten containers – Sarah and our children were sharing the first container while this picture was taken. Each container contains about twice as much yogurt as a typical store-purchased yogurt container. So, how did we make it? 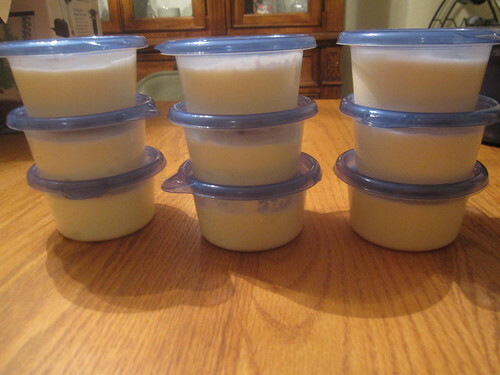 Our procedure was very similar to the crock pot yogurt recipe at Crock Pot 365. You’ll need a functional crock pot, a clean towel, half a gallon of milk (preferably whole milk, though it works with soy milk), 1/2 cup store-purchased yogurt (any kind will work – even soy yogurt), and any flavoring you wish to add – vanilla, fruit puree, etc. You may also want to add a single packet of unflavored gelatin (for thicker yogurt) or a cup of nonfat milk powder (for a creamier taste). The procedure itself is simple. Just put the milk in a cleaned crock pot and let it cook on the low setting for two and a half hours, then unplug the crock pot and let the milk sit for three hours (covered), for five and a half hours total. At that point, remove a couple cups of warm milk from the crock pot and add the yogurt to that cup, stirring them together thoroughly. 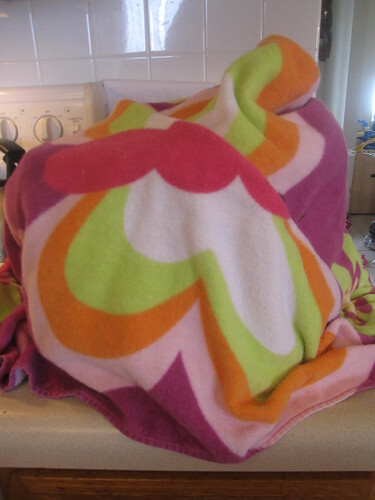 Add the milk-yogurt mix back to the crock pot and thoroughly cover the crock pot with a towel. 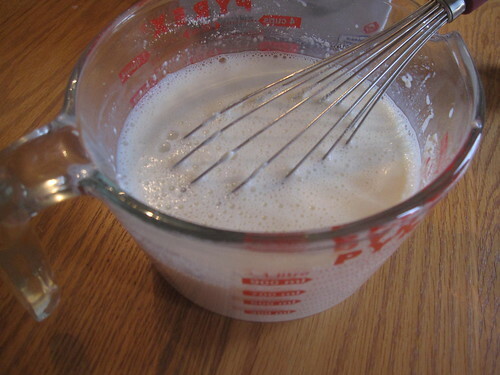 If you’re going to add nonfat milk powder or gelatin, do it now, stirring it in thoroughly. Then, let the crock pot sit (unplugged) for eight more hours (we left it overnight). In the morning, you’ll have plenty of yogurt! You’ll want to flavor the yogurt at this point. I strongly recommend being conservative with the flavoring, as it’s surprisingly easy to overdo it. I also recommend using smaller individual containers like the ones you see above. Yes, this even works if you’re a vegan. You can use Stonyfield Farm O’Soy soy yogurt as your yogurt starter and use soy milk or almond milk as your milk. The yogurt lasts for about seven days, so expect to be eating it as a snack pretty heavily after you make a batch. If you’re like us, where yogurt is a regular part of meals, this is easy to do.